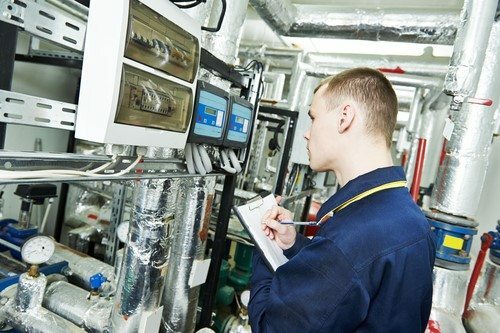 The HVAC industry is heavily reliant on the demands from the residential to commercial building installation activities. Therefore, the trends on HVAC industry also depends on the housing market as well as the UK government policies. So, what has to do with installing a panel PC for your HVAC business? Just picture this. Homebuilders prefer to find an advanced HVAC quality service and cultivate a good working relationship with a competitive HVAC subcontractor. As a small, independent HVAC business owner, can you survive in a world where giants are also marching in? Now is the time to get along with them and know how an embedded computing technology can help you. Why Install an Embedded Panel PC for Your HVAC Service? We cannot deny the fact that the HVAC industry has extreme working environment. It is susceptible to liquid spill-overs, moist, humidity, heat, dust, and falling debris. If all of these are not handled properly, the entire HVAC system will definitely break down. To avoid such worst case scenario, installing an embedded panel PC is the best option. By mounting a 17” Rugged Industrial PC Panel, you can easily monitor and control the whole HVAC system. But, is it really ideal to build one? Here are some of the top reasons why panel devices are best for HVAC industry. Purchasing such kind of technology enables your HVAC service step-up to a new level. As a matter of fact, most industries that have similar working environment as HVAC use the most reliable embedded touch panels to increase productivity and improve efficiency in terms of quality service. One of the most sought after panel technologies is the 17” Rugged Industrial Client PC due to its comfortable size and suitability for any working environment. Be it in 24/7 operation and let it handle those humidity, moisture, shocks, and severe usage. Keep in mind that these panel computers we are referring to are rated IP68 and NEMA sealed. Thus, it is certified resistant to water immersion and dust intrusions. Plus, it passes the standards where a certain electrical device is used. It does not end there. An installed 17” Rugged Industrial PC Panel is also integrated with touchscreen technology and comes in a built-in Intel BayTrail-M/D 2.0GHz Quad Core processor motherboard. If you wary about its life span, this kind of technology is made to last longer. Some of the nation’s largest HVAC businesses are sizing up and looking for ways to attract as well as to hold customers. They are buying the latest HVAC equipment to provide better services and this includes the computing technology. Such embedded computing technology enables them to monitor, log, and conditions the HVAC system to operate in optimum levels regardless how harsh the temperature is. Lest, you want it customised, panel PC manufacturers can absolutely provide it for you. So, don’t be left behind. Build your own panel device now and get ready to load all those benefits.